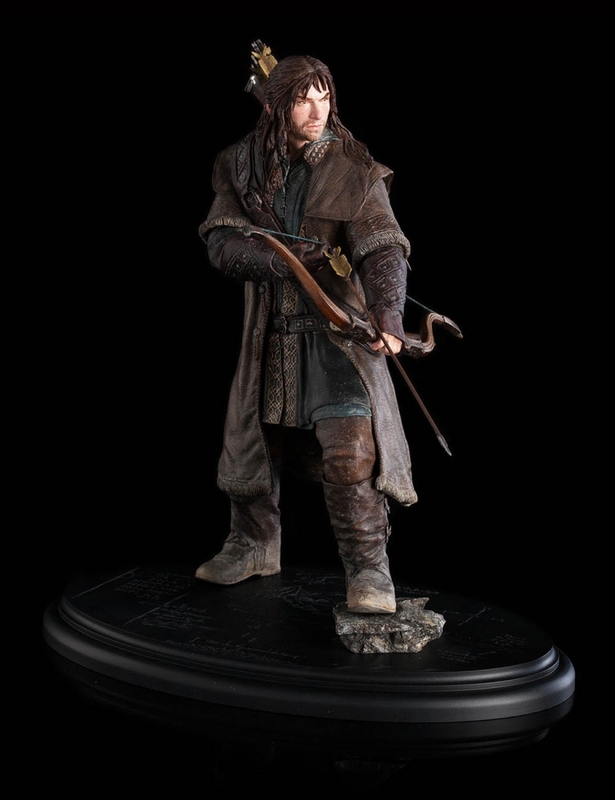 Youngest nephew of Thorin Oakenshield and brother to Fili, Kili the Dwarf joins the quest for Erebor out of a belief in his uncle and the righteousness of their cause. A principled, honest young Dwarf of warm humour and upright bearing, Kili is unencumbered by the worries and prejudices born by his elders in the Company of Thorin. 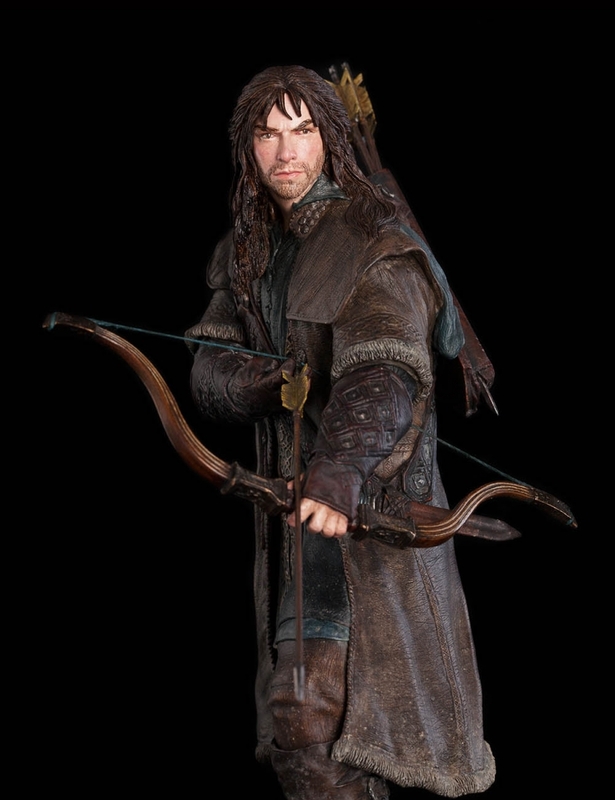 He is quick to befriend Bilbo Baggins and trusts Gandalf the Grey's choice to bring the Hobbit along. 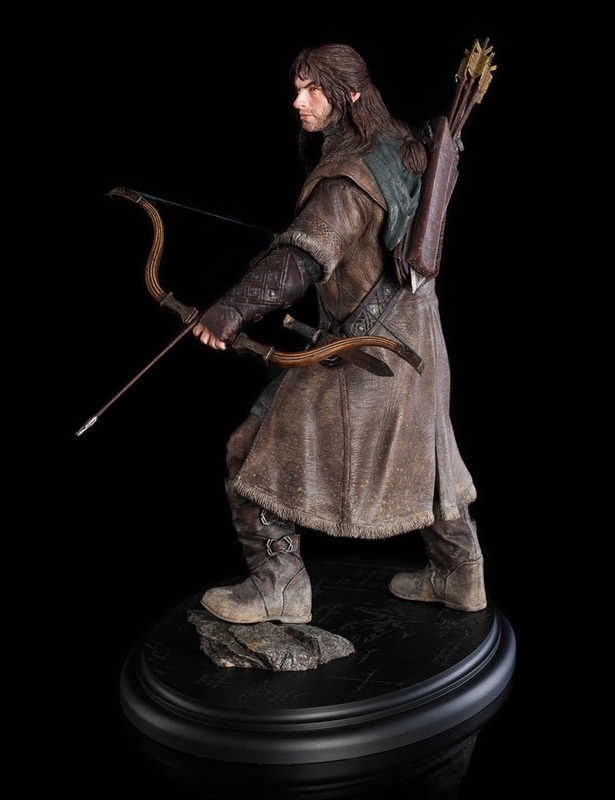 Sharp-eyed and swift-limbed, Kili's skill with a bow is unmatched in the Company, and his swordsmanship is no less impressive. When tested against Goblins, Wargs or even Trolls, Kili's mettle shines and his blade rings and flashes as he cuts down his foes. 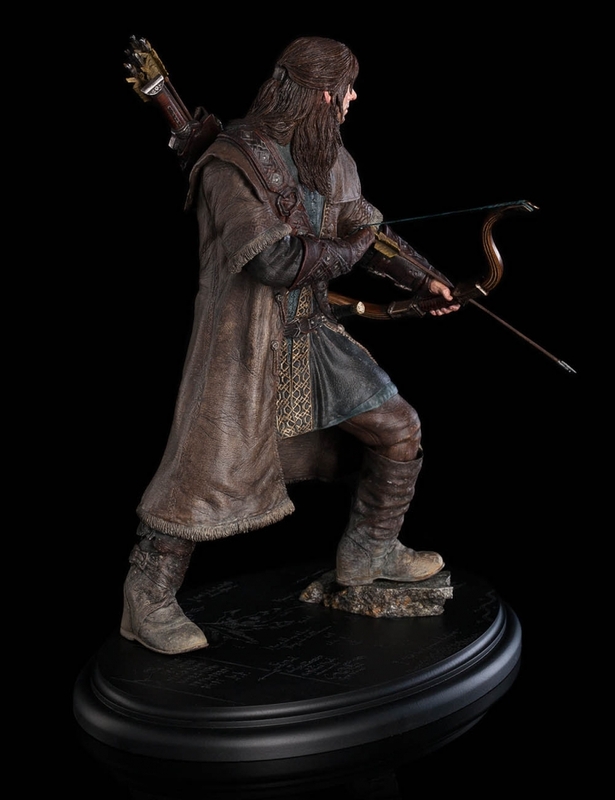 Though young and untempered at the quest's outset, the Dwarf has been well trained and is as brave and loyal as any in the proud line of Durin. 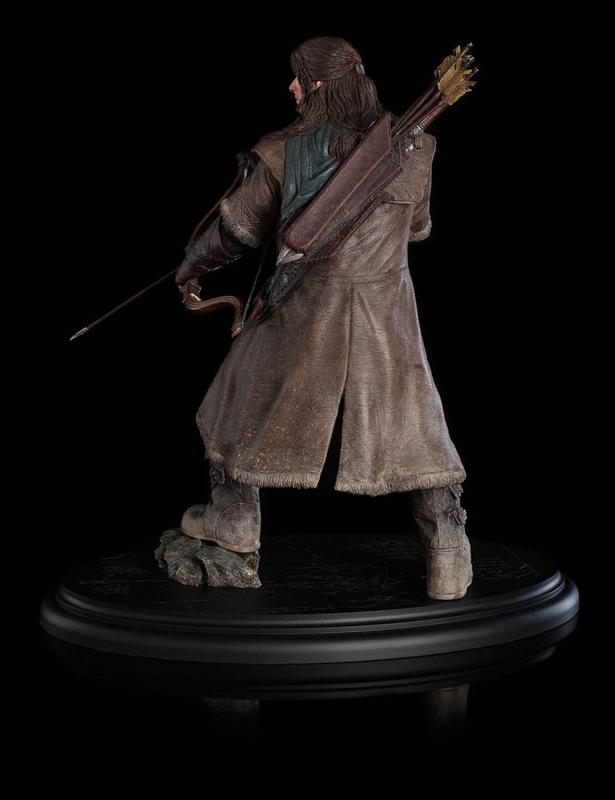 Kili the Dwarf, with his bow in hand and ready for whatever comes his way, is a Limited Edition piece of 1,000. Please note: images are of a pre-production prototype. Each statue is hand painted and minor variations will occur.